These days I often find myself taking short weekend get-away trips. While I usually unplug on these little mini getaways, I always travel with my laptop to at least check up on my email, blog, and facebook accounts. For the longest time I just slid my Macbook Air into my Vera Bradley messenger bag with my magazines, iPad, and Kindle; but, I never felt that it was fully protected. 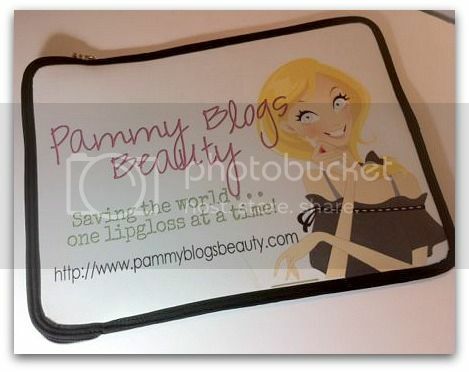 Just recently I got this adorable zipper laptop case from Bags of Love. I really do love it! I feel like I can blog on-the-go easier now as I can travel with my laptop without worrying that it will get damaged. The laptop case keeps it nicely protected and it fits like a glove around my Macbook Air! 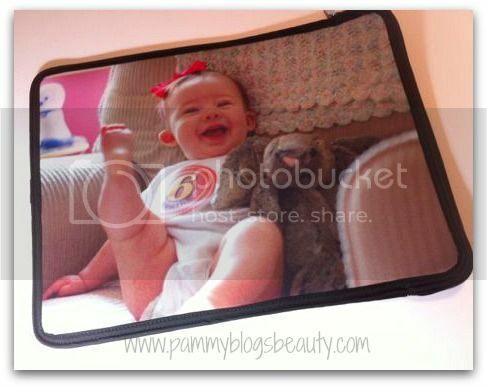 Bags of Love uses your own digital photos to create cute bags, media cases, boxes, pillows, tote bags, and etc! Seriously, this site can make just about anything with your photos on it! They have a really great selection of baby items too like baby sleeping bags (totally want one for my baby girl!) and blankets. For the upcoming holidays, I think that these Bags of Love photo items could be really cute as gifts! I know that both Grandma's love anything with Skylar's picture on it! There is a great selection of items at a variety of price points. How do you protect your laptop or iPad when you travel? Do you take yours with you or do you totally unplug and leave your electronics/media at home?